A wonderfully effective but gentle exfoliator combining avocado oil and jojoba beads that remove lifeless skin, while calendula oil and carrot seed extract soothe and restore. With the fragrance of cedarwood and sweet orange. Whenever your skin needs a new lease of life, gently massage into moist skin then rinse well. The Antipodes Reincarnation Facial Exfoliator - 75ml product ethics are indicated below. To learn more about these product ethics and to see related products, follow the links below. 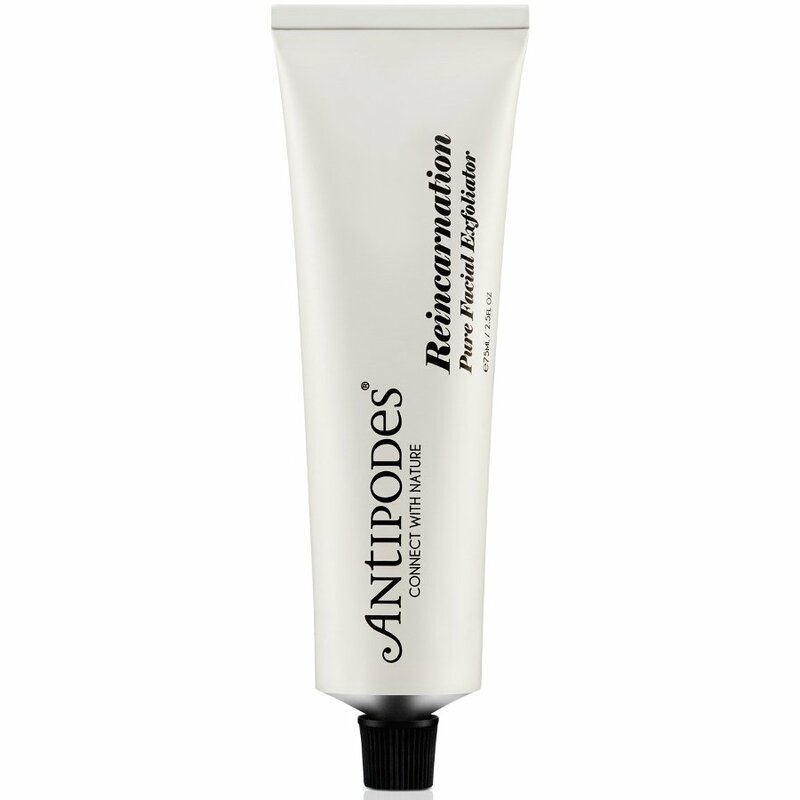 There are currently no questions to display about Antipodes Reincarnation Facial Exfoliator - 75ml. Antipodes is an organic skincare brand specialising in premium green beauty products that use the very best botanicals to create products that are scientifically and clinically shown to promote youthful skin and gently care for skin, including sensitive skin. All of the range is created with a commitment to looking after the natural environment and contain 98-100% natural ingredients, often with AssureQuality Limited organic certification too. Ingredients in Antipodes products have full traceability, from sustainably cultivated plants to manufacture and use of recyclable products and packaging. All are approved by the UK Vegetarian Society.